Weekly Photo Challenge: Afloat | Oh, the Places We See . 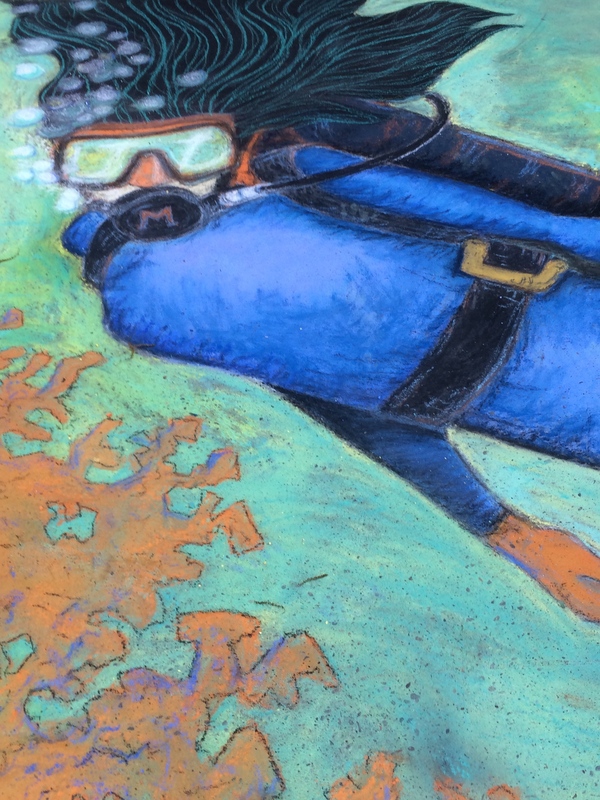 . .
Knoxville’s Dogwood Arts Festival Chalk Walk frequently receives entries showing something afloat. If nothing else, those of us with little artistic talent feel as if we’re floating as we walk between the chalk drawings simply amazed that anyone can stay hunched over for a day creating art that we could only dream of doing. Here’s a peek. Seemingly afloat is this diver who’s taking a closer look at sea vegetation. 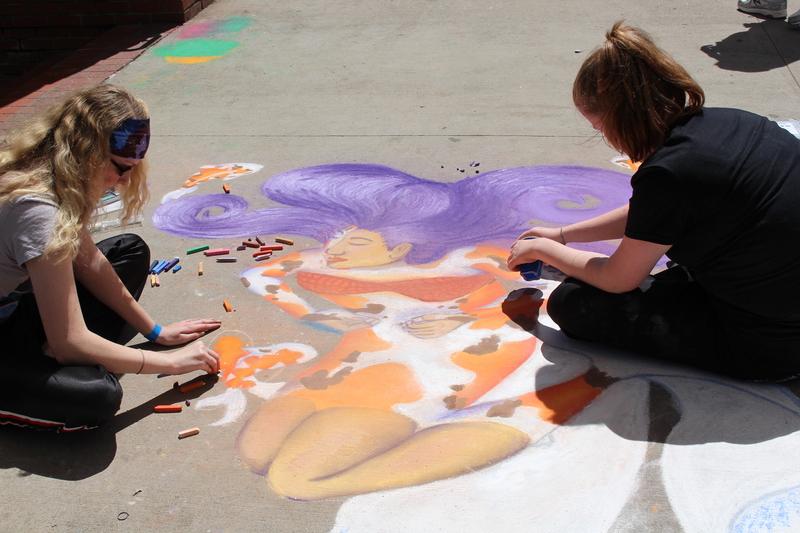 Entry from the McQuilken Family (Steven, Lauren, & Suzanne) in the Dogwood Arts Festival Chalk Walk 2015. Another entry seemed afloat just by the process of creation: the artists (University of Tennessee students) were freehanding the painting! No paper picture beside them. No preconceived notion of how this should turn out. Just one artist sketching freehandedly (Is that a word?) while the other one filled in the color. End result? A dreamy, purple-haired lady afloat with the creatures beside her. For more entries in the WordPress Weekly Photo Challenge: Afloat, swim over here. 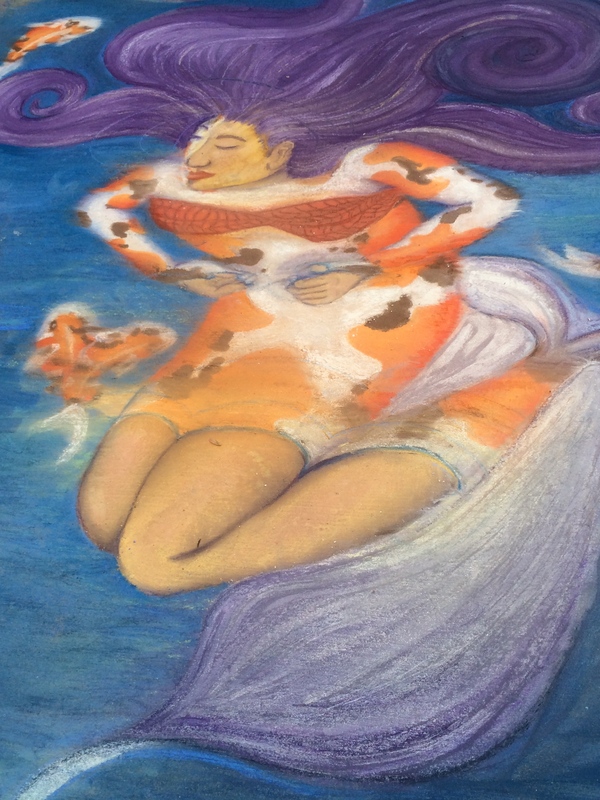 This entry was posted in Weekly Photo Challenge and tagged afloat, chalk drawings, Chalk Walk 2015, Dogwood Arts Festival 2015, postaday, sidewalk art, Weekly Photo Challenge: Afloat. Bookmark the permalink. Thanks, Amy. I liked that purple hair girl, too! So much fun to watch them pull this together! It really is, Janet. I hope to get out another post showing more entries. So many great ones! Artists always impress me but the ones who can create pieces of art with chalk are amazing. What talent it takes to create one of these beautiful pieces of work. It amazes me so much, Judy. They begin work around 8:00 AM and stay hunched over all day — sometimes til late afternoon! And they make the paintings look so real. Thanks for taking a look.